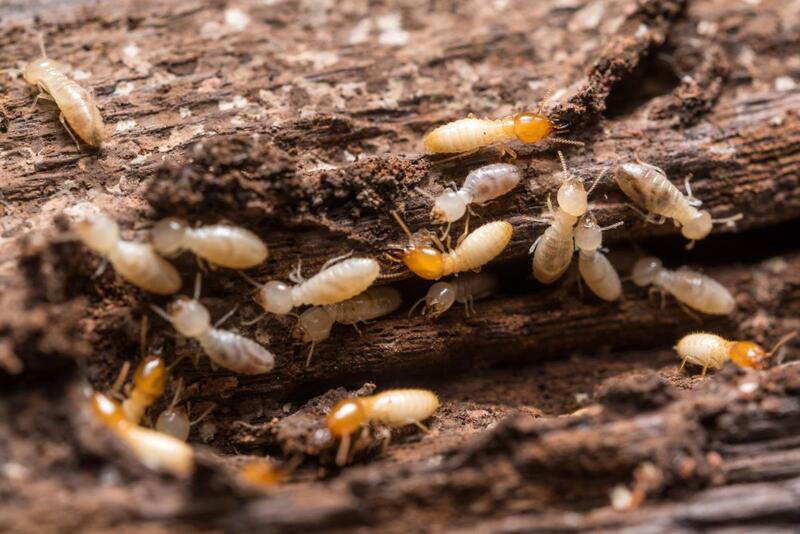 If you own a HOME in Queensland..
Then you NEED to know the facts about termites! Over a third of unprotected homes in Queensland are at risk! Especially if you have gum trees within a 100 metre radius. TERMITES CAN CAUSE MORE DAMAGE TO HOMES THAN FIRE, FLOODS AND STORMS COMBINED. The problem is they are very secretive. They will often enter your Home through areas that are unaccessible on inspections. So are there are any signs termites might be invading your home? It is imperative that if you do come across termites you do NOT disturb them! Although not welcome in our homes, termites are fascinating colonie insects with extraordinary survival skills. If they feel threatened they will retreat quickly and most likely nest in an even more secretive part of the house. And most of these signs you wouldn't come across until very late stages of a termite infestation. Needless to say we don’t want to wait that long! As with most things the best cure here is prevention or early detection. Think of it like a Health Check for your Home! Termite chemical barriers or treated zones are a replenishable termite barrier around your home. Treated zones stop subterranean termites gaining concealed access into your property. These must be installed by a termite barrier expert who will ensure non carcinogenic (non cancer causing) chemicals are used.